Could Google Inc (GOOGL)’s New CFO Trigger Stock Buybacks and Dividends? Google Inc (NASDAQ:GOOGL) has appointed Wall Street veteran and former Morgan Stanley (NYSE:MS) CFO, Ruth Porat, as its next CFO. She will be replacing Patrick Pichette, who announced his retirement early in the month. Could Porat appointment mean dividends or stock buybacks for the search giant’s shareholders? Speaking on CNBC, Rosenblatt Securities managing Director, Martin Pyykkonen, said it might be too early to think of the same as Google is still growing. 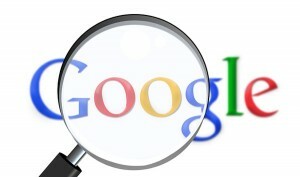 Investors may argue that Google Inc (NASDAQ:GOOGL) is in a great position to start rewarding them with a dividend offer or a stock buyback, but the analyst believes it might be too early to think of the same as no major changes are expected in the current fiscal year. “I think both of those points are probably a little further off than people might want to think. I mean I cover media and entertainment stocks, and obviously Buybacks are a theme area. I think Google Inc (NASDAQ:GOOGL) has a lot to grow. I am looking into this as a very positive move. Number one, Ruth coming in, bringing in more financial discipline, Patrick I think had good financial discipline, should add more but at the same time not stifle Google’s investments,” said Mr. Pyykkonen. A dividend offer and a stock buyback could somehow provide a much-needed boost for the stock. Historically, Google Inc (NASDAQ:GOOGL) has opted to use its cash balance for buying companies and initiating investments in other areas such as the drone business, Google Glass, and the upcoming wireless service. Pyykkonen expects Porat to be of great help in articulating areas where Google Inc (NASDAQ:GOOGL) out to spend for future growth without stifling investments. The search giant is highly profitable and great at generating cash and with the addition of a CFO of Porat’s experience and caliber, the stock should go higher according to CNBC’s Contributor Karen Finerman. “I think that this transition should be a smooth one and it should give the street confidence that the business is in good shape. I just think she is an outstanding hire. Hopefully, her interesting mix of experience will bring them some financial discipline. I am not surprised the stock is up I am actually surprised it is not up more,” said Mrs. Finerman.